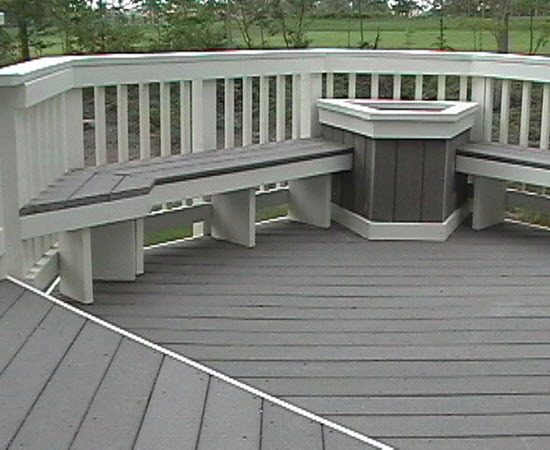 Planning and executing your own deck installation project can prove to be both cost-effective and rewarding. Being able to upgrade your home to increase its versatility and enjoyability often increases the home’s resale value as well as its livability. While creating your own custom deck can pay off big, it’s important to get the job done perfectly in order to avoid costly or dangerous mistakes. Your new deck railing system will need to be installed perfectly to avoid any hazardous mistakes. 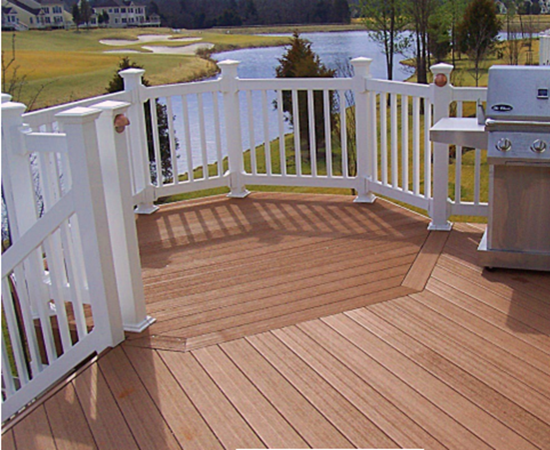 As your go-to team of professional deck builders in the Stafford area, Virginia Decking & Remodeling is here to offer quality assistance every step of the way. 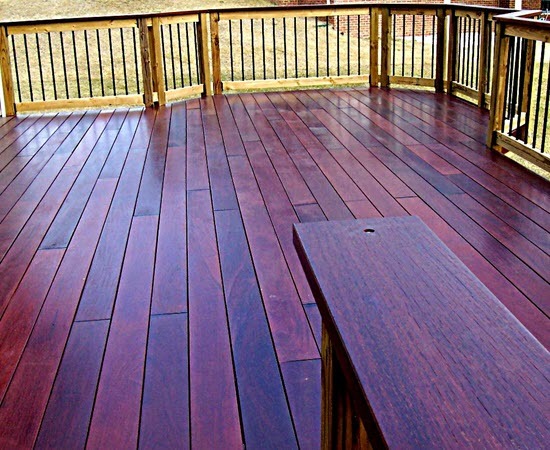 We are proud to be an established deck company in Virginia, standing on decades of experience to provide the best decking solutions for our valued customers. 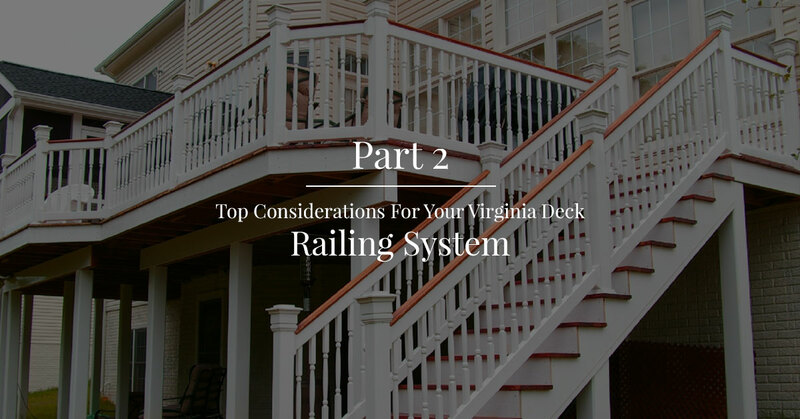 Today, we’ll continue to discuss a few of the many deck railing considerations for your new system. When you’re ready, be sure to reach out to our experienced contractors for a quote today! Similar to the spacing of your balusters, it’s important carefully measure and install each rail to ensure that the end result is both even and level. Measuring and installing in a selective order will help to avoid being stuck with shorter rails and other time-consuming complications. A level railing will provide stability and support for anyone in need of balance. The height and spacing requirements for residential deck railing systems are in place to keep people optimally safe when enjoying their outdoor time above the ground. When the top bar is not level, the risk of falls rises dramatically. While one spot may be a safe height for leaning against, the opposite corner may be too short. It’s important to avoid this! While your railing isn’t the safest place for placing drinks, phones, or any other personal equipment, it is a commonly utilized surface. Lacking in being level raises the risk for items to roll, slide, or tip over, creating a hazard for anyone below. Patience and focus are imperative for installing a deck railing system that is sure to hold up under pressure. Regardless of your experience, the installation process for railings consumes a lot of time. Be sure to take your time and do the install perfectly. Speeding up the process can result in numerous hazards, with many putting human lives in danger. Be patient here, as experience helps to refine your process and increase efficiency. Railing kits are also available to make this stage much quicker, with all of the gear and hardware needed to safely and quickly complete the railings. Regardless of your skill level, it can pay big to have a partner on staff to help with the entire process. Having a second set of hands can make moving and holding parts easier, as someone can also verify the alignment and levelness of every action. 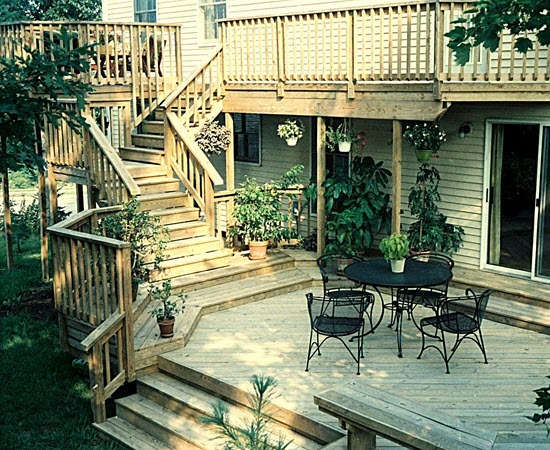 A second pair of eyes will also be hopeful for ensuring that your deck installation is done accurately. Whether you have someone installing the railing segments or setting and measuring them, buddying up can make the entire project much easier. Virginia Decking is proud to offer deck framing, design, and installation assistance to keep our customers on track for success through every stage of the process. While these recommendations may prove helpful, there are many more tips that can optimize your designed or customized deck. If you are in need of our professional deck builders in Stafford, be sure to contact us today to for a quote and answers to all of your questions!